Friday’s ransomware outbreak, which used recently revealed weaknesses in Microsoft’s Windows operating system to spread further and faster than any before, has prompted the Redmond-based developer to break its own rules on software maintenance in an effort to keep users safe. The ransomware, also known as “WanaCrypt0r”, “WeCry”, “WanaCrypt” or “WeCrypt0r”, used a vulnerability in a Windows Server component to spread within corporate networks. The weakness was first revealed to the world as part of a massive dump of software vulnerabilities discovered by the NSA and then stolen by a group of hackers calling themselves “Shadow Brokers”. Microsoft fixed the flaw shortly before the stolen data was published, leading many to conclude it had been surreptitiously tipped-off by the security agency about the existence of the flaw. 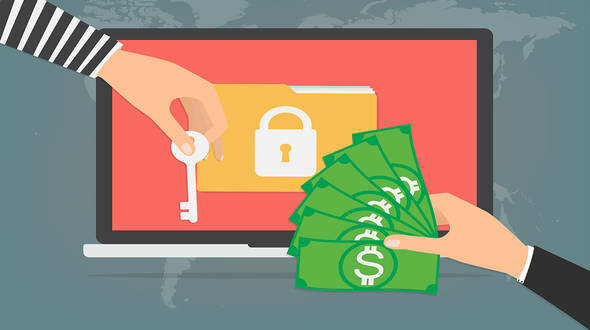 In this article, we have brought some of the great tips to protect you and your organization from the ransomware. · The vulnerability does not exist in Windows 10, the latest version of the software, but is present in all versions of Windows prior to that, dating back to Windows XP. · As a result of Microsoft’s first patch, users of Windows Vista, Windows 7, and Windows 8.1 can easily protect themselves against the main route of infection by running Windows Update on their systems. In fact, fully updated systems were largely protected from WanaCrypt0r even before Friday, with many of those infected having chosen to delay installing the security updates. · Users of Windows XP, Windows Server 2003 and Windows 8 can defend against the ransomware by downloading the new patch from Windows. · All users can further protect themselves by being wary of malicious email attachments, another major way through which the ransomware was spread. · Perform regular backups of all critical information to limit the impact of data or system loss and to help expedite the recovery process. Ideally, this data should be kept on a separate device, and backups should be stored offline. · Establish a Sender Policy Framework (SPF), Domain Message Authentication Reporting and Conformance (DMARC), and DomainKeys Identified Mail (DKIM) for your domain, which is an email validation system designed to prevent spam by detecting email spoofing by which most of the ransomware samples successfully reaches the corporate email boxes. · Restrict execution of PowerShell /WSCRIPT in enterprise environment Ensure installation and use of the latest version (currently v5.0) of PowerShell, with enhanced logging enabled. script block logging and transcription enabled. Send the associated logs to a centralized log repository for monitoring and analysis. · Application whitelisting/Strict implementation of Software Restriction Policies (SRP) to block binaries running from %APPDATA%, %PROGRAMDATA%, and %TEMP% paths. Ransomware sample drops and executes generally from these locations. Enforce application whitelisting on all endpoint workstations. · Deploy web and email filters on the network. Configure these devices to scan for known bad domains, sources, and addresses; block these before receiving and downloading messages. Scan all emails, attachments, and downloads both on the host and at the mail gateway with a reputable antivirus solution. · Disable macros in Microsoft Office products. Some Office products allow for the disabling of macros that originate from outside of an organization and can provide a hybrid approach when the organization depends on the legitimate use of macros. For Windows, specific settings can block macros originating from the Internet from running. · Configure access controls including file, directory, and network share permissions with least privilege in mind. If a user only needs to read specific files, they should not have write access to those files, directories, or shares. · Consider installing Enhanced Mitigation Experience Toolkit, or similar host-level anti-exploitation tools. · Keep the operating system third party applications (MS office, browsers, browser Plugins) up-to-date with the latest patches. · Follow safe practices when browsing the web. Ensure the web browsers are secured enough with appropriate content controls. · Network segmentation and segregation into security zones - help protect sensitive information and critical services. Separate administrative network from business processes with physical controls and Virtual Local Area Networks. · Disable remote Desktop Connections, employ least-privileged accounts. · Ensure integrity of the codes /scripts being used in database, authentication and sensitive systems, Check regularly for the integrity of the information stored in the databases. · Restrict users' abilities (permissions) to install and run unwanted software applications. · Enable personal firewalls on workstations. · Implement strict External Device (USB drive) usage policy. · Employ data-at-rest and data-in-transit encryption. · Carry out vulnerability Assessment and Penetration Testing (VAPT) and information security audit of critical networks/systems, especially database servers from CERT-IN empaneled auditors. Repeat audits at regular intervals.